More Fun at the Hyatt Regency Lost Pines - R We There Yet Mom? 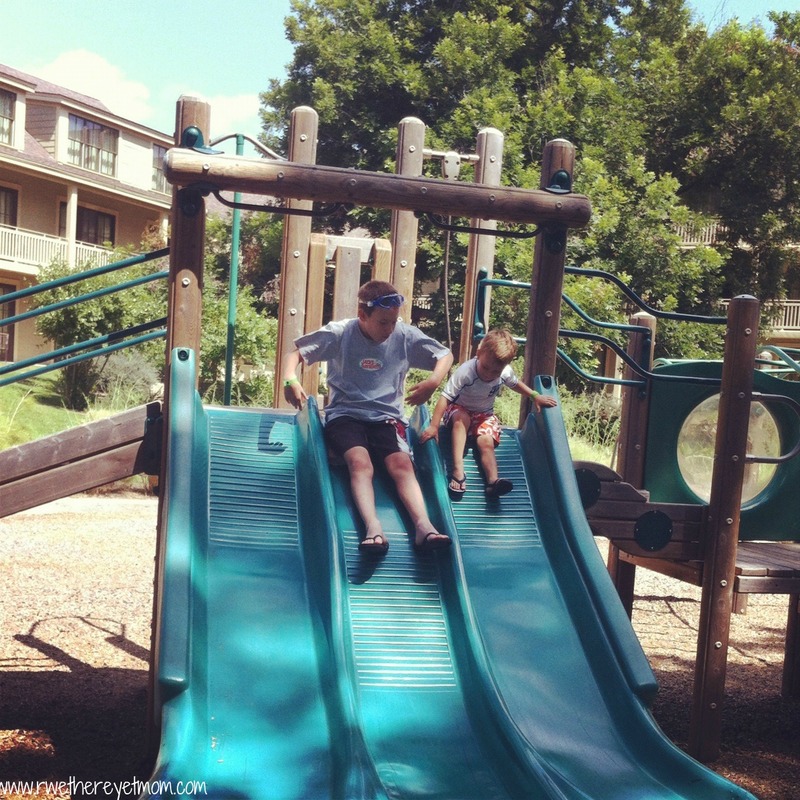 As much fun as we had at the Crooked River Water Park and watching a movie under the stars, there is still a ton more to do with your family at the Hyatt Regency Lost Pines Resort. Everywhere you turn, there is something to do. I promise you, your teenage daughter will never get that “i’m-bored” glaze in her eyes when you spend a few days out here. Early one morning, we took a walk over by the golf course – have I mentioned there are over 18 miles of trails to hike, bike, and horseback ride on? We came across this lovely flock of ducks, just getting close enough to see if we had some food to offer. Most of the rooms have patios or balconies – we stayed on the first floor with a patio that opened up to the playground. We really enjoyed relaxing on the patio as the children played nearby. 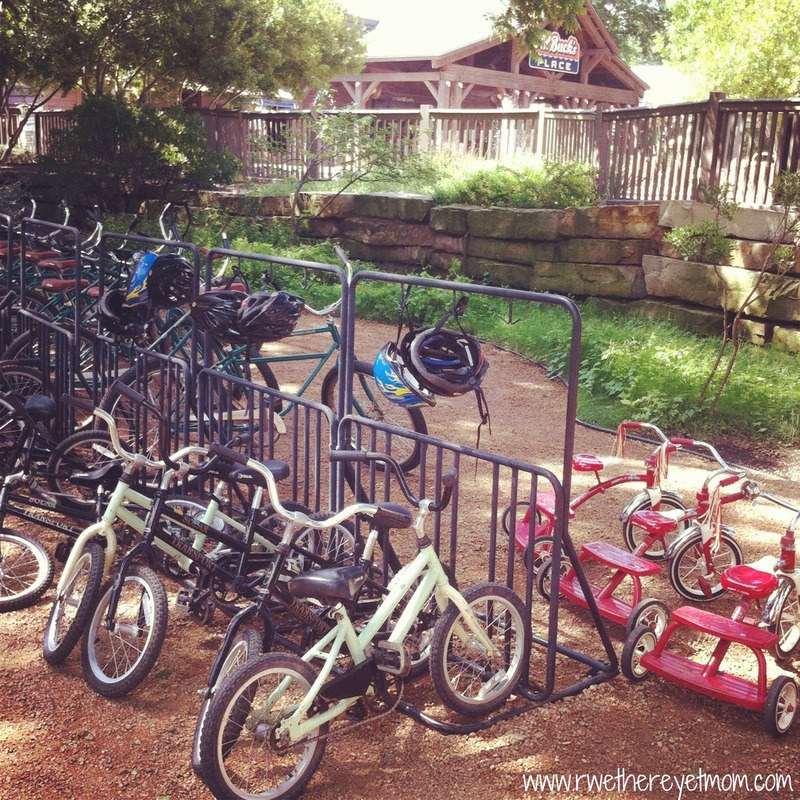 When they tired of that, we grabbed a few bikes and toured the grounds. You check them out for an hour at no charge. 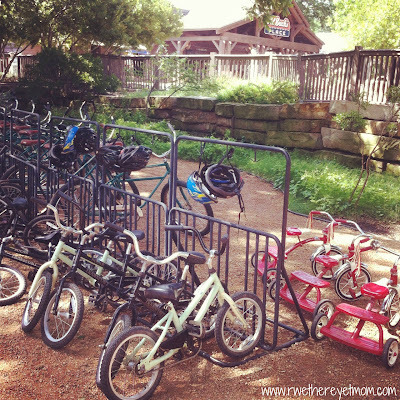 Even the little ones have trikes and training wheels so they can join in the fun. We loved all the shaded paths and could have ridden all day. 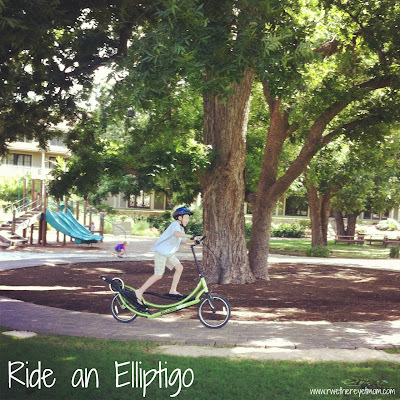 My son was really excited to try the Elliptigo bike – available at the Spa Django for check out, you must be at least 12 years of age to ride it. This bike gives you the feel of gliding yet you are really getting a workout. Did my son care? Nah, it was just a “blast” to him. 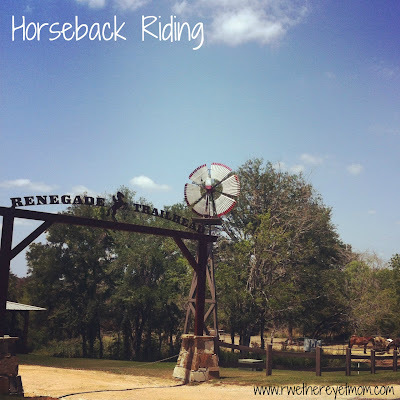 Renegade Trailhead offers horseback trail rides and pony rides, so everyone can enjoy the fun. Have a kiddo who just can’t get enough horses? Put them in the 4 hour weekend Horse Camp that includes learning how to brush & saddle a horse and a long trail ride. Archery & Trap Shooting is available, with equipment & safety gear provided. You can also join a guided Lake Bastrop Bass Fishing trip here as well. The Recreational Roster with free resort activities is different each week, with options from scavengers hunts to water balloon wars, to craft your own beaded necklace and photography lessons. Honesty, can I just live out here all summer? 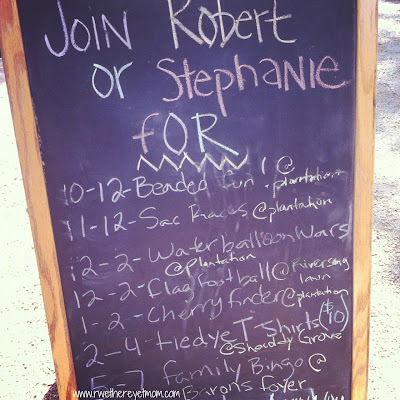 There are SO MANY fun things to do! If you didn’t want to join in a planned activity, there is horseshoes, frisbee golf, soccer, kickball, basketball, and more available at all times. 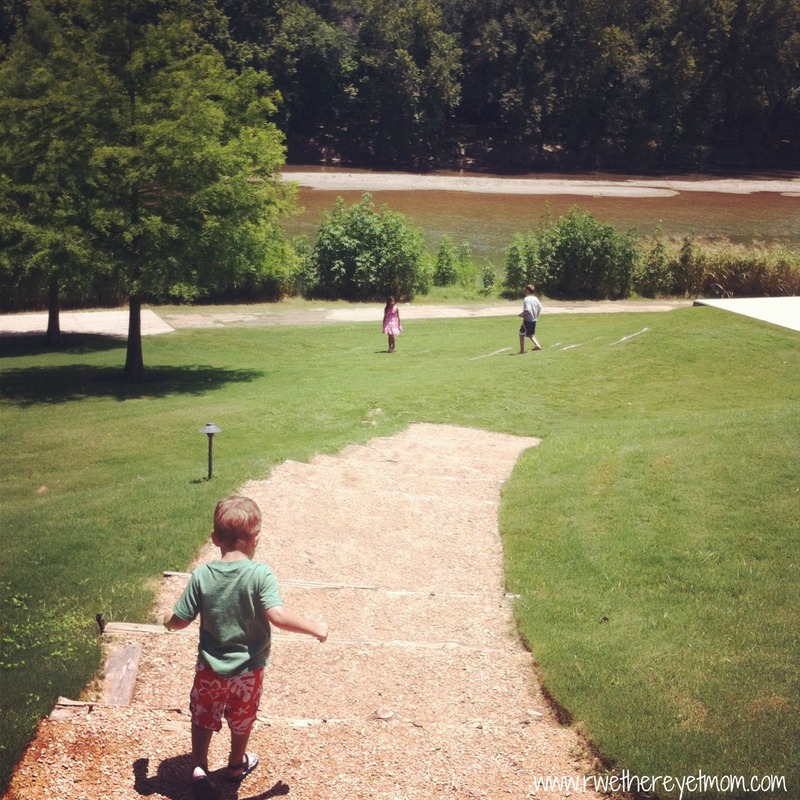 As I mentioned previously, Hyatt Regency Lost Pines is unique as it partners with the McKinney Roughs, providing Outdoor Adventures such as learning about Texas Animals (aptly called “Don’t Mess with Texas Animals”), kayaking the Colorado River, Sunset Floats, Twilight Trails, Stargazing, and Zip-lining. 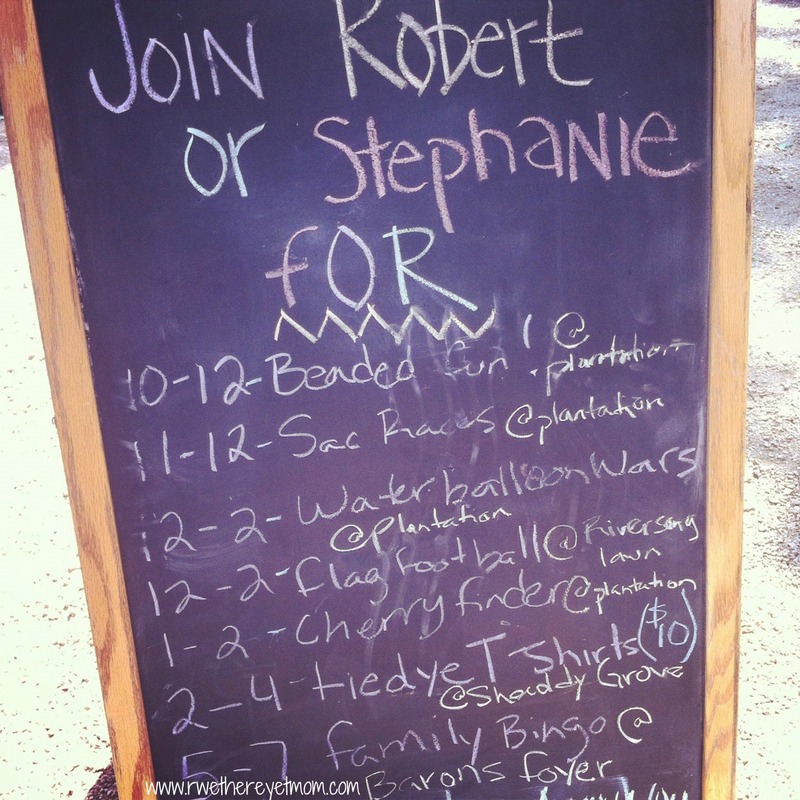 All of these activities are reasonably priced and provide a unique outdoor experience for your family. But what happens if it rains?? Ok, I know that rarely happens here in Texas, but if it did, they are prepared! The Resort itself plays homage to a museum, filled with historical decor such as Texas Art, Texas Musicians, and Texas Storytellers. 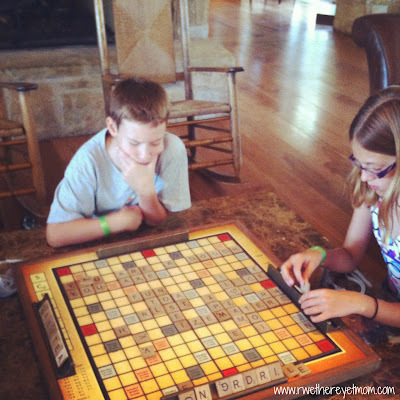 And there is nothing more fun on a rainy day than to sit down with your siblings to a challenging game of scrabble in the lobby. Quite honestly, you don’t need a day of rain to do that – it might be a great afternoon escape from the Texas heat as well. 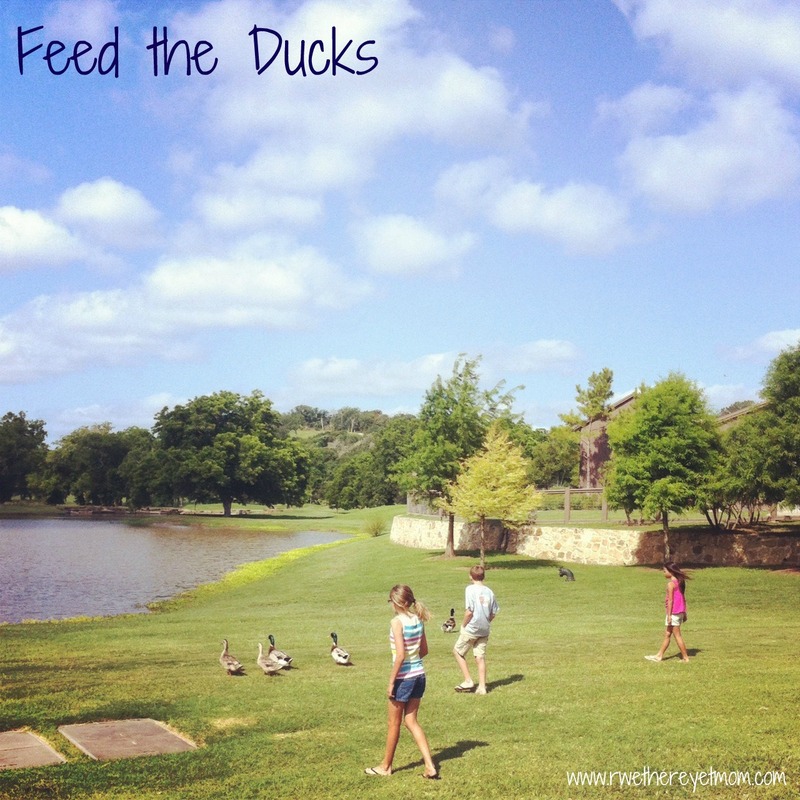 There is so much more to do at the Hyatt Regency Lost Pines Resort that I haven’t even mentioned. Dad will enjoy a challenging round of golf at the Wolfdancer Golf Club while Mom can relax at the Spa Django. Even the little ones can receive a little pampering at the Wild Hare Youth Spa. If you are looking for structured kids activities, Camp Hyatt is a great option with crafts, games, sports and scavenger hunts. And on weekends, you can visit with Resort Mascots! Guest LOVE to have their picture taken on T-Bone (one of 2 saddle-broke longhorns) or pet Hoss (The resort dog). 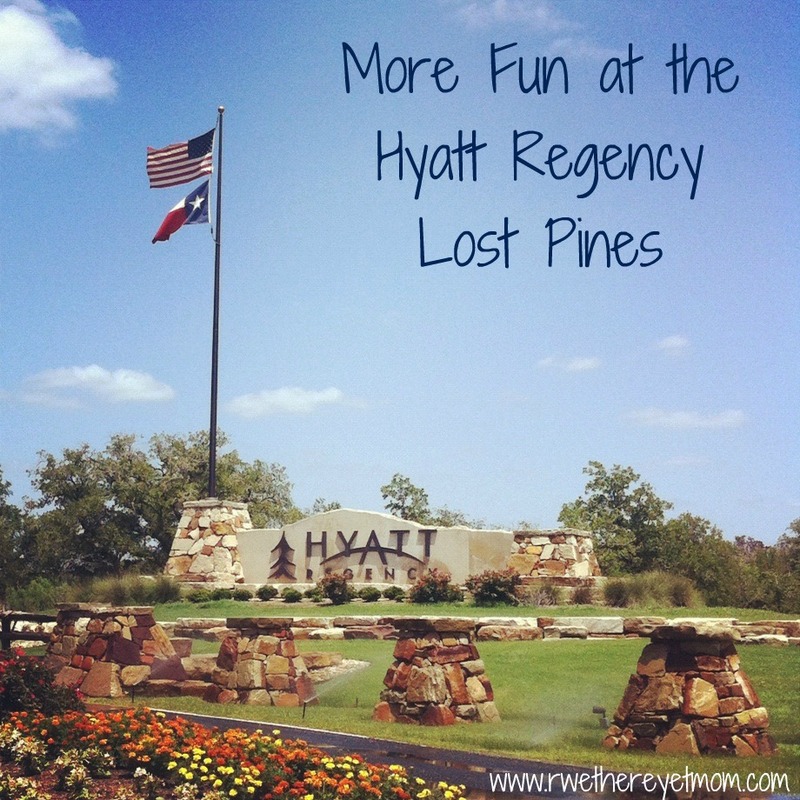 We had a fantastic time at the Hyatt Regency Lost Pines Resort – each family member voted that this was a MUST DO each summer. But I have heard there are year round events to enjoy ~ there is an exciting New Year’s Eve Package for families that I can’t wait to try! ~ so why wait until next summer to come back? If you are looking for a fun place to go locally to relax and enjoy time with the family, the Hyatt Regency Lost Pines Resort is a perfect option. My family and I were invited to visit the resort and were provided an evening stay. I was not financially compensated for this post. 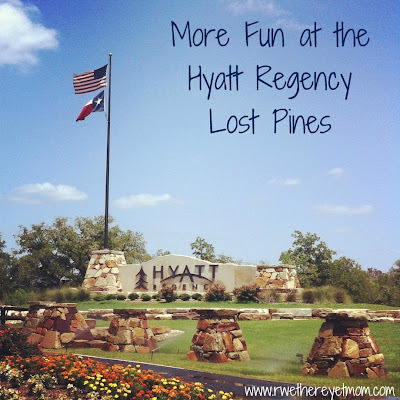 All opinions of Hyatt Regency Lost Pines Resort are strictly my own based on my experience.